Anjunadeep continues to build out its portfolio of superb music and that’s exemplified by today’s release: Yotto – “Fire Walk”. If you’ve been paying attention to the Deep House scene recently then you already know about Yotto, who is having a break-out year and receiving accolades like “Essential New Tune” from Pete Tong (one of four this year), along with an Annie Mac “Hottest Record” on BBC Radio 1. In general Yotto – who hails from Finland – produces a unique blend of Deep House that isn’t overly “ravey” yet is appropriate for nightclub dance floors around the world. Yotto’s style is similar to that of his Anjunadeep label mate Lane 8, where both gentlemen have carefully crafted their art; and the world has taken notice. Of course, it helps that you have one of the biggest dance music acts in the world, Above & Beyond, hyping you up. “Fire Walk”, in my opinion, is a masterpiece. That bass line gives me no fewer than 1 million goosebumps all over my body when it drops in. 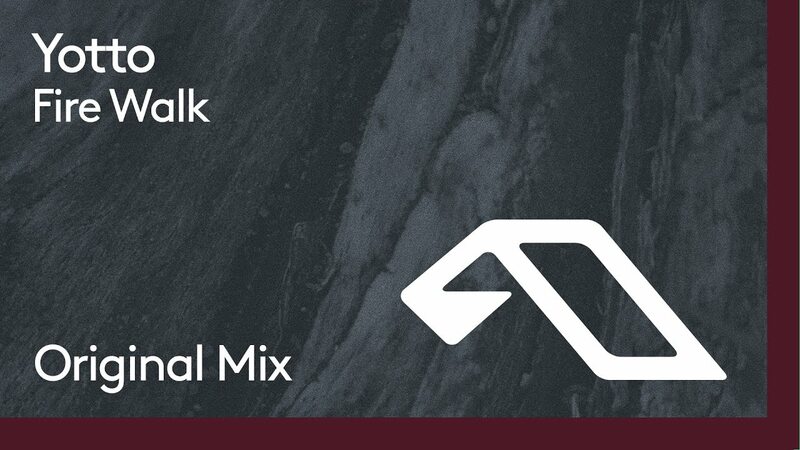 Combine the bass line with melodic synths and vocals and you have something that I think expresses exactly what Anjunadeep stands for in one song. Yotto headlines Anjunadeep’s forthcoming 16-date North American Tour, including stops at New York’s Flash Factory, Exchange LA, and 1015 Folsom in San Francisco. He also appears alongside the likes of George Fitzgerald, Joris Voorn, Heidi and Dusky across a number of forthcoming European dates. GO SEE HIM!